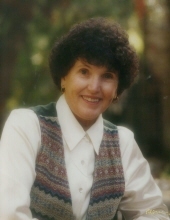 Rita A. Portwood was born on Dec. 13, 1932 in Stigler, Oklahoma and passed away peacefully at her home in Wasco, Ca on April 9, 2019 after a short illness. She was 86 yrs. old and had been in the capable hands of in – home caregivers, as well as Hospice. Rita is survived by her loving husband of 68 years, Ordell O. Portwood, of Wasco. She is also survived by daughter Pam Marler and her husband Bill Marler, of Springville, Ca; son Phil Portwood and his wife Sue, of Wasco. Also surviving are grandchildren: Brooke Grigsby of Springville, Ca; Brandon Holve of Springville, Ca; Kim Hurley of Oak Park, Ca; and Mandy Portwood of Wasco. She also leaves behind great – grandchildren: Donovan Grigsby, Ryan Holve, Taylor and Caitlyn Ackerknecht, Mason and Hunter Portwood; as well as one brother, Donald “Pat” Mills of Bakersfield, Ca. Rita was predeceased by her parents William Tony “Bill” Mills and Ida Belle Gilliam Mills, originally of Stigler, OK; Six brothers, Harry Mills (who died as an infant), Edmond Clifton “Buster” Mills, Roy L. Mills, Hubert P. Mills, John W. “Jay” Mills and Tony “Gene” Mills; and three sisters, Freda M. Havens, Laura “Rena” Wilson and Norma D. Crawford. Rita enjoyed the family farm life and attending yearly reunions of the extended Mills family. She also enjoyed a cattle ranch she and her husband owned in Springville for over 40 years; she loved the cattle, wildlife and hiking around the hills and along the Tule River. Another pleasure of hers was baking cookies with her grandchildren and great – grandchildren and making lasting memories with them. To send flowers or a remembrance gift to the family of Rita A. Portwood, please visit our Tribute Store. "Email Address" would like to share the life celebration of Rita A. Portwood. Click on the "link" to go to share a favorite memory or leave a condolence message for the family.